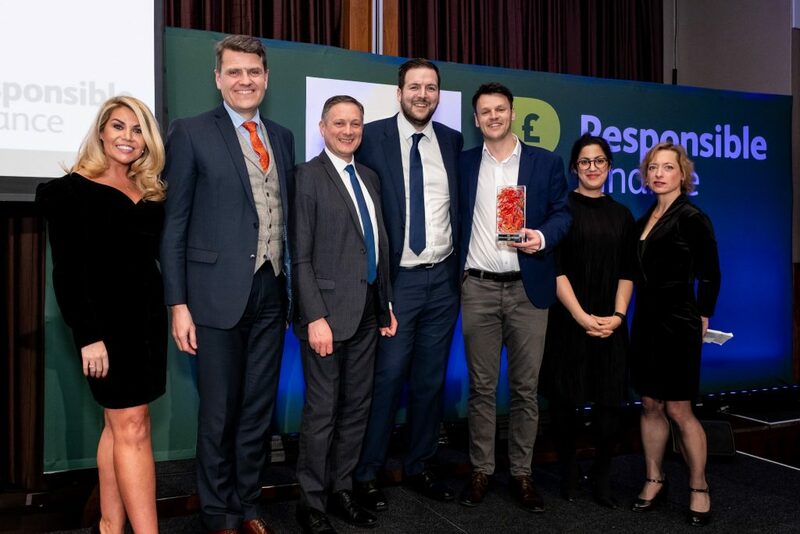 Not for profit social enterprise BEF were celebrating earlier this month after receiving the Impact Award at the Citi Microentrepreneurship Awards 2019, delivered in partnership by Responsible Finance and the Citi Foundation. The awards were launched in 2005 and now span more than 30 countries. The programme came to the UK in 2013 and was established by the Citi Foundation to recognise best-in-class microentrepreneurs and celebrate the responsible finance sector and their contribution to national economies. BEF received the award in recognition of the support they provide to under-served SMEs via lending with a social purpose. In 2018 they lent £8.8m to 399 clients and delivered 4,000 hours of tailored business support, helping launch 179 new businesses, creating or safeguarding 985 UK jobs. This brought £39m of economic benefit to the regional economy. BEF’s impact measurement and reporting has been a key area of focus in the last 12 months. A new Social Impact report was launched in July 2018 outlining BEF’s contribution to the UN Sustainable Development Goals. BEF’s ongoing and demonstrable impact has enabled the retention and growth of funding streams, helping to enhance credentials in the social investment arena. Congratulations to the whole team – we’re very proud to have you as part of our network! As a responsible finance provider, BEF lends with a social purpose; helping businesses throughout the North of England to thrive, grow, and impact their communities. 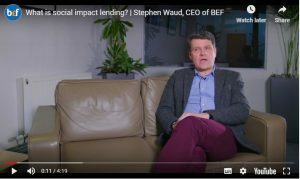 In this insightful talk, BEF CEO Stephen Waud discusses ‘Social Impact’ and the importance of ‘Responsible Lending’ and using ‘Finance for Good’.